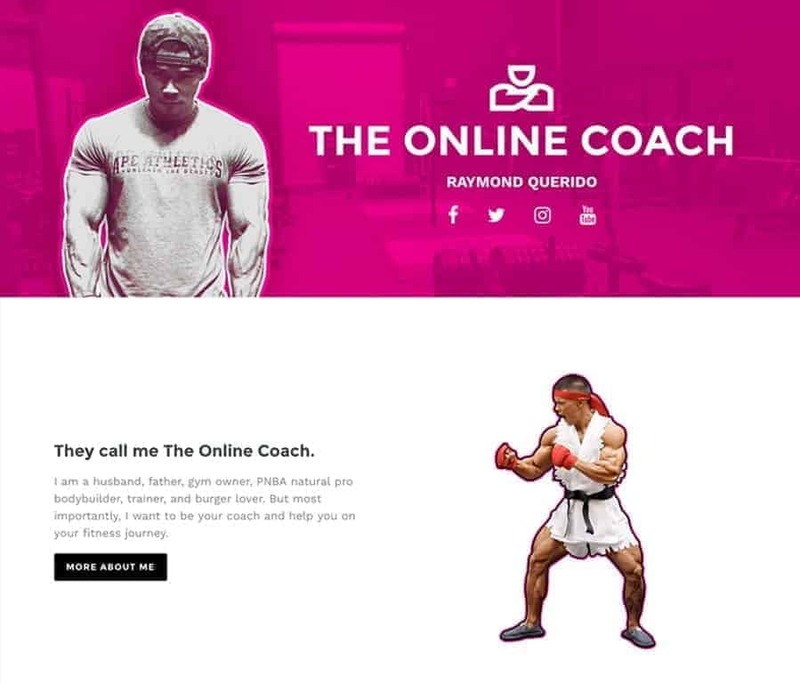 Redesign of the website and online shop for Raymond Querido, otherwise known as The Online Coach. 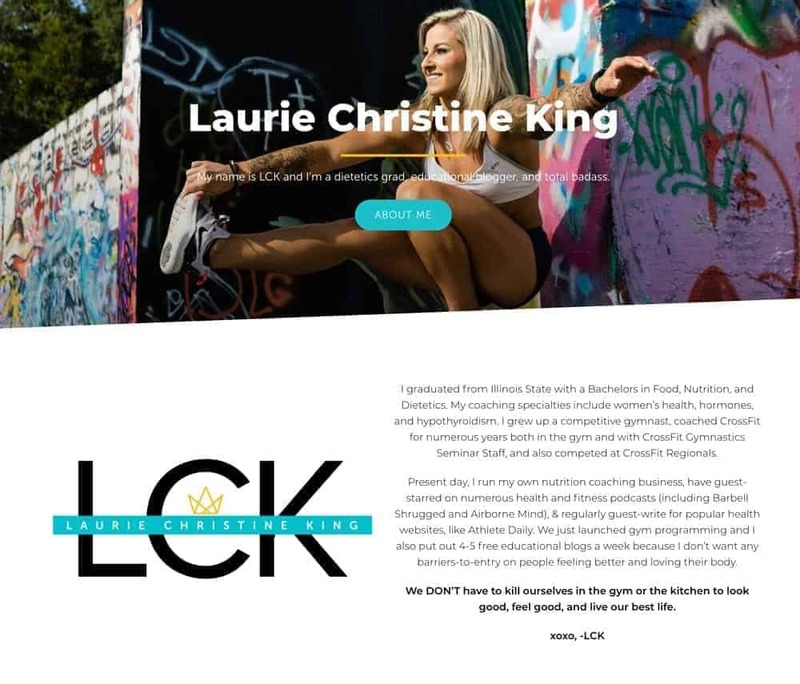 A complete redesign of Laurie Christine King’s personal website, along with a full build-out of her online programming, Paragon Performance Training. A refresh of Jen Jewell’s website where potential clients can learn about her services and inquire about coaching, as well as read Jen’s blog. 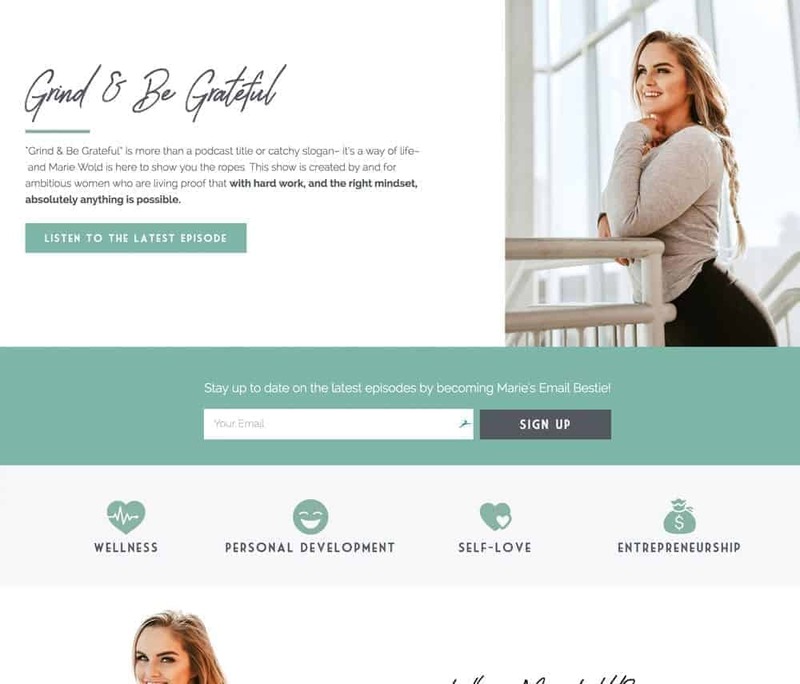 Website build for the Grind & Be Grateful Podcast, hosted by Marie Wold. The website not only contains information about the podcast, but houses all of the episode audio and transcripts. 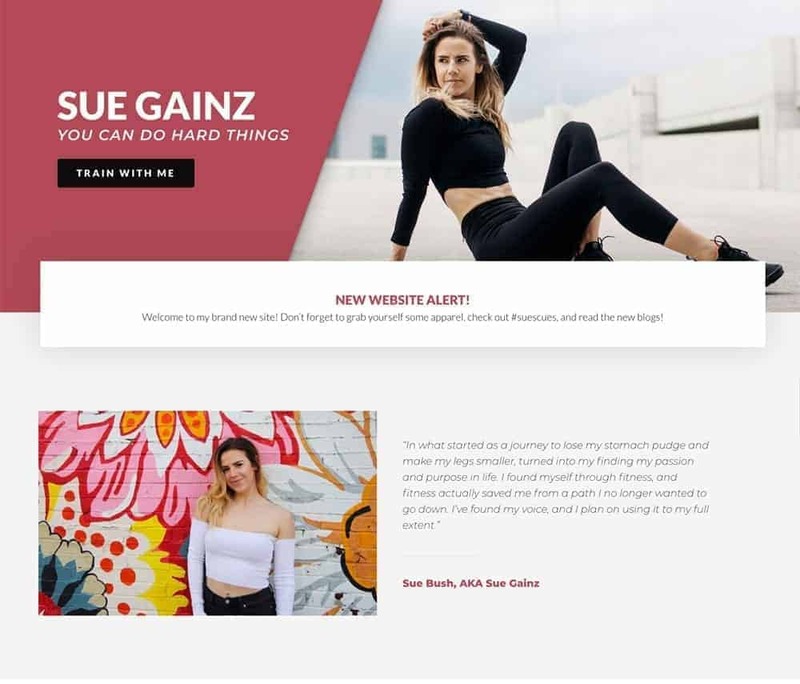 Website build for Sue Bush (AKA Sue Gainz) for her online training. Other features of the site include a full exercise library, online store, & video series. 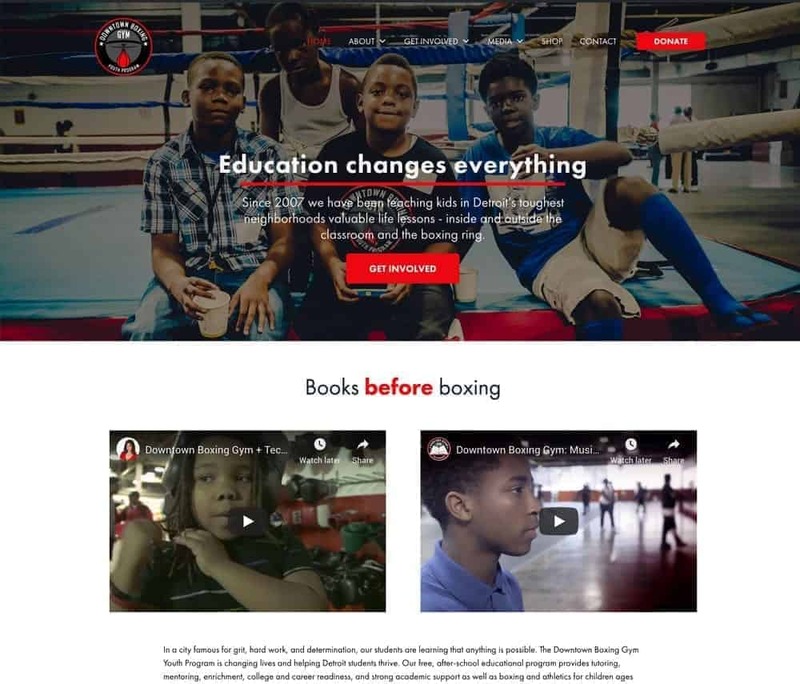 Full website build for the Detroit-based nonprofit, Downtown Boxing Gym. The website fully supports donations and allows the organization to manage all donations & donors within the website without the use of a third-party. 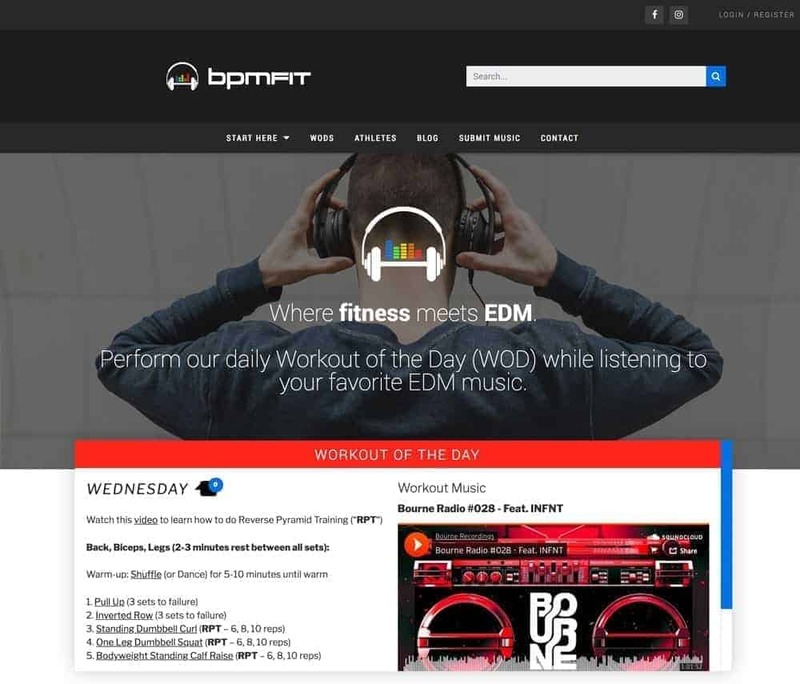 Website build for BPM Fit, a company that combines daily workouts with various EDM-style playlists. This unique build allows for the daily posting of workouts and corresponding music through the help of Soundcloud. 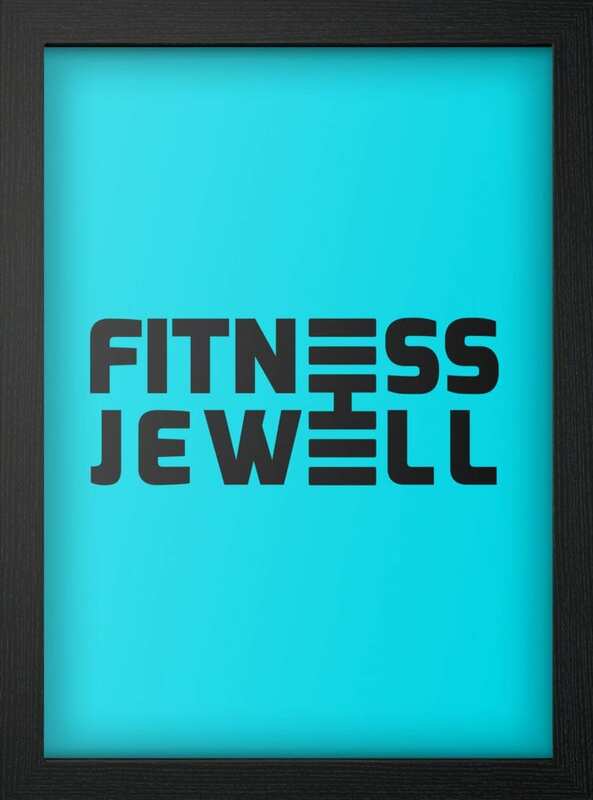 A logo for Jen Jewell’s personal fitness identity, Fitness Jewell. Logo design for GRND, a health-based coffeeshop started by The Macro Barista. Laurie Christine King’s logo for her online fitness brand. 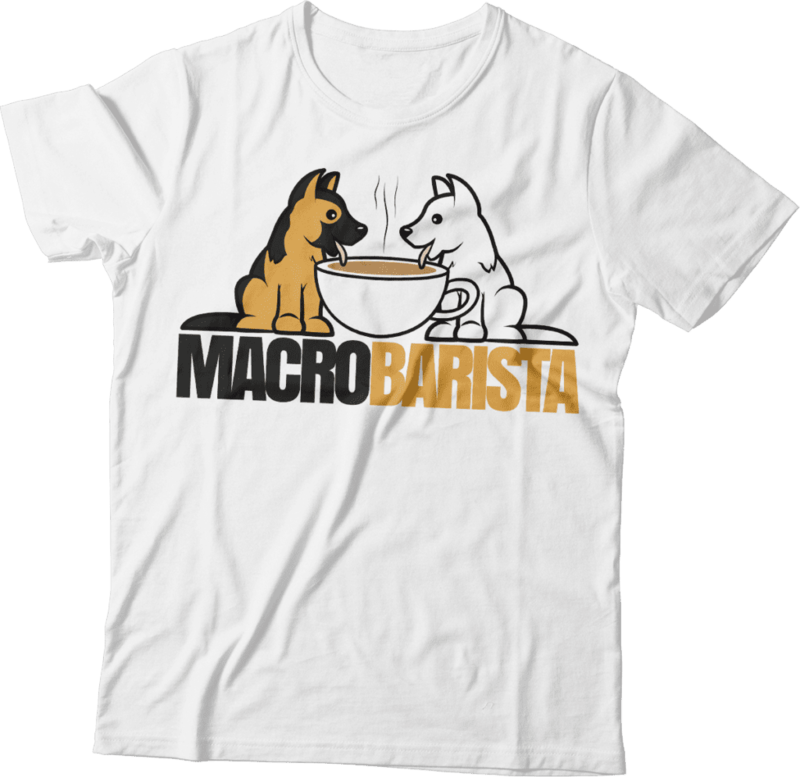 A logo for The Macro Barista, featuring his 2 dogs as part of the design. A design for Paragon Performance Training, made to look similar to Laurie Christine King’s personal logo. I work very closely with The Flexible Dieting Lifestyle to design Instagram posts on an ongoing basis. Given a topic, I create informational posts to correspond with that specific topic. I have designed visually-appealing posts breaking down various Macro Barista Starbuck’s drinks, along with other educational coffee-related posts. 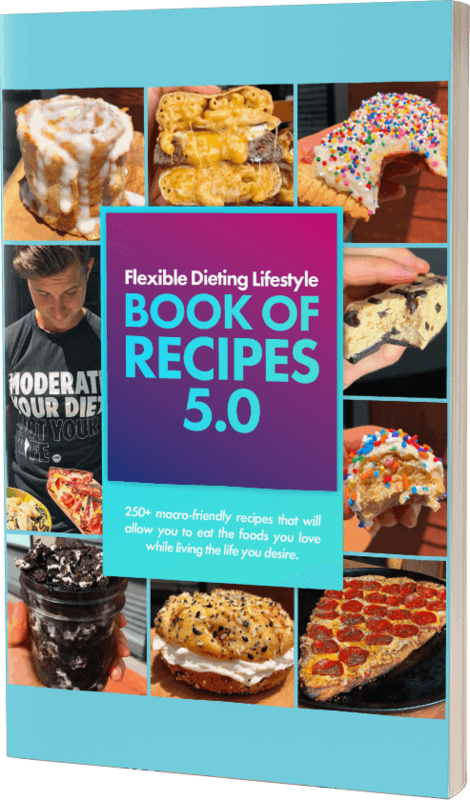 An ebook containing workouts you can do anywhere, used as a downloadable freebie to use to gather opt-ins on Jen’s website. A macro-friendly recipe book containing over 250 recipes. Cover design, layout, and page design all included. 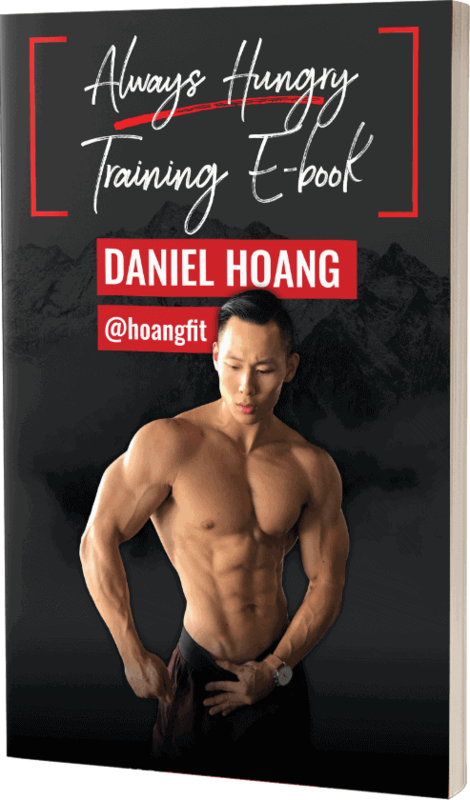 This ebook contains an absolutely insane workout programming containing 6 different 4-week phases, sure to challenge anyone at any fitness level. Also included is a full training log for users to download and/or print for their workouts. 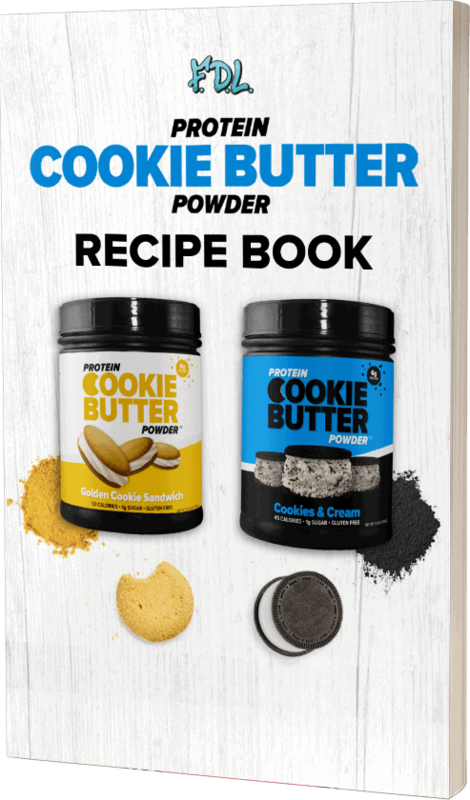 To thank customers and add another level of customer service, we built out a recipe book for customers to download after they purchase Protein Cookie Butter Powder. 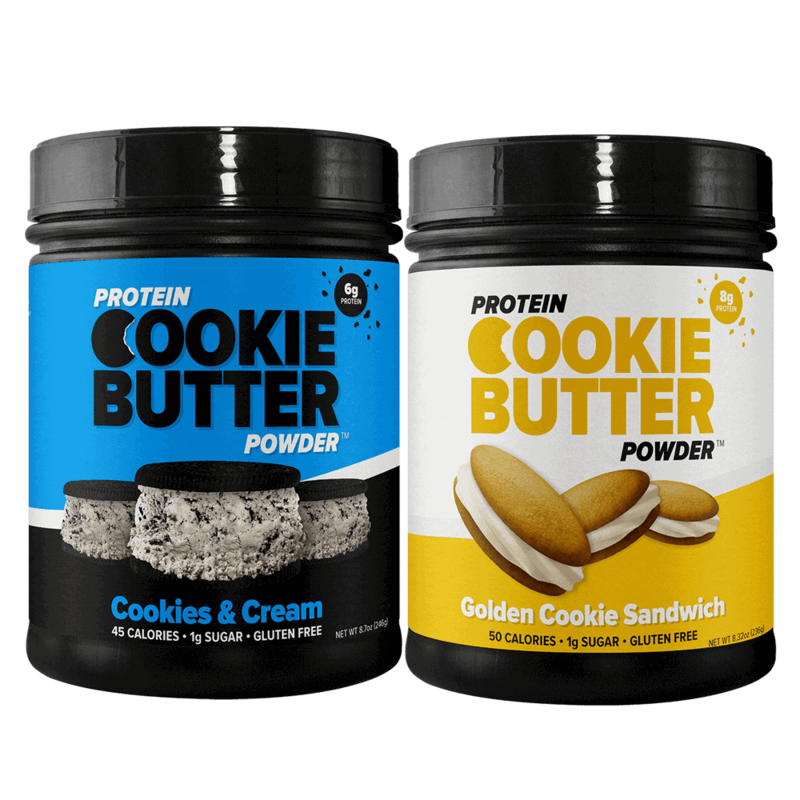 Label & package design for Protein Cookie Butter Powder, a low calorie, low carb, high protein alternative to your standard cookie butter spreads. Not just a logo for The Macro Barista, but a design that looks great printed on t-shirts and other apparel.